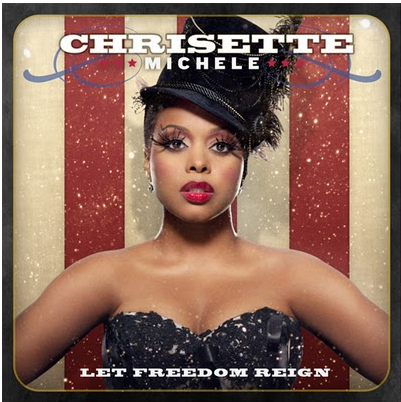 I’ve boycotted album reviews for a while now, but I had to give my girl Chrisette Michelle that respect she deserves. Her album debuted, Tuesday, November 30th and I absolutely fell in love again with her voice, look, and confidence. I’ve been a fan since the beginning and although I’ve heard a lot of her songs over the weeks I was pleased about how her album flowed on this cold November. She gave ambitious women a bit of inspiration with “Number One” which I felt should be her next single. Lyrics exemplified a hard-working women being her one and only and loving oneself before anyone else. Chrisette has the ability to show her emotion through her dynamic voice range and its shown through “Goodbye Game” and “If Nobody Sang Along”. If I were to close my eyes I could picture visually how passionate she was about putting together these songs and because I can relate them to my own real life situations. She touches on being able to have her voice heard as an artist, and that could go a lot of ways with an individual who experiences freedom of expression. (You know those music videos where the girls is spending around and around in an open field with not a care in the world? yep that’s me right now lol) The song “Unsaid” has one of the best musical instruments, I love the guitar and the lingering effects kind of made me feel like I was in live concert. Overall, I really appreciate Chrisette Michelle as an artist who has evolved over the years, everyone loves her and no matter how famous you think you are or regular you want to be you will relate to her music. Go get her album today, I dare you to prove me wrong!